Mira is a teacher living in the heart of Suryam, a modern bustling in city India, and the only place in the world the fickle Rasagura fruit grows. Mira lives alone, and with only the French existentialists as companions, until the day she witnesses a beautiful woman having a seizure in the park. Mira runs to help her but is cautious, for she could have sworn the woman looked around to see if anyone was watching right before the seizure began. Mira is quickly drawn into the lives of this mysterious woman Sara, who suffers a myriad of unexplained illnesses, and her kind, intensely supportive husband Rahil, striking up intimate, volatile and fragile friendships with each of them that quickly become something more. A moving exploration of loss, Mukherjee delivers an intense and unexpected modern love story as Mira reconciles reality with desire. Rheea Mukherjee received her MFA from California College of the Arts in San Francisco. Her fiction and non-fiction has been published in several publications including Scroll.in, Southern Humanities Review, Out of Print, QLRS and Bengal Lights, among others. Her previous stories have been Pushcart nominees, Glimmer Train Very Short Fiction Finalists, and semi-finalists for the Black Lawrence Press Award. Rheea spent her childhood in the US and her teens in India. She came back to the States for college and her MFA, and then returned to Bangalore, where she currently resides. She co-founded Bangalore Writers Workshop in 2012 and currently co-runs Write Leela Write, a Design and Content Laboratory in Bangalore. 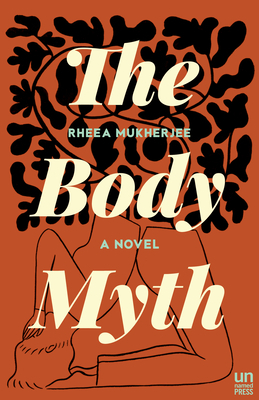 The Body Myth is her first novel. You can learn more about Rheea at www.rheeamukherjee.com.